Not everyone is born “digitally native” but we can strive to become this. Planning is key! However, we all make mistakes and that’s okay but most importantly we need to learn from our errors. Teamwork makes the dreamwork! I have thoroughly enjoyed working alongside my peers every step of the way to support my journey and would not have got through it without them. After this module, I am keen to keep up to date with current initiatives implemented in schools. I will continue to read to keep up to date with my knowledge as we are the future teachers of this generation and they are depending on us! I am keen to become a teacher meeting the (Scottish government 2016) requirements to be successful in the modern classroom. Overall, during our time creating this activity we discovered how time consuming this is. Timing is limited as a teacher; we have a lot to get through in such a short space of time. Therefore, I am not sure I would utilise QR codes in the classroom with children. However, I would not deprive them from this experience if they were keen to try it- I would use it as a chance to develop my own understanding. “Gaming is hugely popular in the UK with over 85% of young people between the ages of 5-15 owning some type of gaming device”. (Bray 2001) When I was younger, my obsession was the ‘wii’ and my ‘nintendo DS.’ However, they did not serve any educational purposes personally due to the games I played. Games based learning is said to be as successful to a childs cognitive development as reading. Furthermore, kids learn more beneficial facts from video games to prepare them for their futures than they do in school. (M, Prensky.) Therefore, we need to find a way to embrace games-based learning in our lessons. With gaming being such a huge part of the 21st century this is crucial. We need to discover a way to use games-based learning in an educational form. They are a form of play; we use communication skills to interact with players. We have a laugh while completing games through socializing- interpersonal skills. Games have set rules which allows children to practice a routine. They usually have a storyline which we can then sympathise or empathise with, encourages us to show feelings. There are often codes to crack or puzzles to solve. Encourages our use of problem-solving skills. This session, we were exploring games-based learning in the classroom. Specifically, we had the chance to interact with the computer game- Minecraft. It is formally described as a lego style adventure game that has no end; it is an infinite world. Initially founded in 2009- released in 2011- it has become a global sensation since. I thought it was a new game only introduced in recent years! Shows how much I know about it. I have watched my younger brother play this game – from which I presumed Minecraft seemed fairly complex- therefore I was keen to give this a go as I like being pushed out my comfort zone. To make everything a little easier, there is an educational option for the game- extremely practical for schools as there is different levels depending on age group. However, if the school wanted to permanently download this to always have access, they would need to purchase this as it only enables 10 log ins with the free trial. To conclude todays lesson, I took full advantage when discussing other peers’ interdisciplinary plans as I was able to take note of their ideas. This allowed me to look at the game from another point of view which was very insightful. Also, encouraged me to think outside the box with ideas for when I have my own class. Overall, this lesson was very useful to me. I had no insight into how computer games could be educational and now I am keen to explore other forms and utilise them in the classroom environment. Children of this generation are ‘digitally native’ to technology. (Prensky, 2001) They are quick learners so can absorb information very quickly for operating computer games. I will probably learn more from them and am keen to do so! One of the main challenges I countered was it takes a lot of time and effort to produce a good quality animation. I have to admit although this task is extremely time consuming. After a lot of practice, it would become easier to reduce the amount of time spent on your masterpiece. I thoroughly enjoy getting messy while being creative. I enjoy working as part of a team- everyone has the chance of an allocated task- we switched roles during the process of the volcano. At one point someone was researching facts while the other was building the volcano and the other was filming. From this week, I have learned the importance of patience and communication. Everything is a trial and error process. We all make mistakes and just need to ensure we learn from these. I will definitely have my class working together on projects such as this one. iStop motion is an excellent way to film any project to present to peers. Animation ‘breathes life into something that wouldn’t normally move’ (Moving Image Education, 2016). During todays lesson, we were looking at animation. By the end of the lesson we were to feel confident in successfully using own expertise in creating an animation programme. Specifically, we were looking at puppet pals and iStop motion. I firmly agree with (Beauchamp, 2012)- Animation is a great way of opening up multiple paths for teaching as there is wide range of animation tools used in classrooms. Cutout – This form of animation is said to be the simplest form. Drawn – classical Disney animation which is obviously very complex. Computer – further known as CGI and found in games and movies. Todays lesson consisted of us using stick figures to create a short imovie. While experimenting with this app, we used a street format for the background and created the illusion of the stick figure walking down the street. We changed the figure to suit the next image accordingly. I can explore and experiment with digital technologies and can use what I learn to support and enhance my learning in different contexts – TCH 1-1a. At the end of this weeks session. Me and my group decided to brainstorm ideas for next weeks lesson so we were prepared and could start visualizing this. Natural disasters was our topic of choice. We began researching facts and statistics about tsunamis, volcanoes, earthquakes etc. Next week I am keen to do well and feel we will produce a well thought out project! Jarvis, M. (2015) Brilliant Ideas for Using ICT in the Classroom: A Very practical Guide for Teachers and Lecturers.Routledge. “In the age of the smartphone, children have unrestricted access to the internet 24/7, it doesn’t just boil down to filtering out the harmful material. Although this helps, students need to be made aware that whilst the internet is an excellent tool for education, there’s also a very real risk it can pose when not used properly.” (Markland, L. 2017) Markland suggests how we should not deny access to children from the internet as it is a very useful tool for researching/ socializing etc. but it is our key concern as teachers to counteract the dangers online. (Beauchamp, 2012) further supports this as he states: “e-safety is not about restricting children, but about educating them”. I don’t think enough is being put in place to prevent cyberbullying etc. As a student teacher I would love to start up a campaign. However, personally I think the internet is a wonderful tool. Every child should have the chance to utilise this safely. We do not have a say what goes on outwith school but we can only try promote internet safety. Alert children of the dangers and do everything in our power to try keep them safe online. From watching BBC news round- educating them on current affairs- to watching tutorials on how to do paper- mache. It is strange to think; I notice a difference from when I was at primary school to the generation of today. Todays children are “digitally native” as they have grown up in a world bombarded with technology and embraced this since birth. (Prensky, M.) Whereas, I didn’t receive my first phone until I was at secondary school and it was a flip up phone. Smartphones were still unheard of while a child. Now, our generation could not sacrifice one day without their smartphone. “Imovie” was our area of focus today. This app is an excellent way to promote internet safety as children are able to see the consequences of not being sensible when online. It also made sense to make a movie based upon this as internet safety month is celebrated worldwide in February. 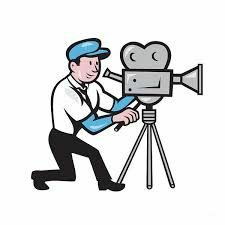 Furthermore, it can be used to film projects or solo talks. When used correctly it can deepen a childs understanding of the topic they are doing in class with the wide range of multimodal features. Internet safety is becoming such a prevalent topic in today’s society as more and more children are taking full advantage of technology in their daily lives. My main role as a student teacher is to promote internet safety and encourage pupils to be aware of the dangers they can encounter online. Mainly, we wanted to put across the message who you speak to online might not always be who they claim they are. We decided to embark on this idea and create an internet safety video ensuring children are confident they know the person they are speaking to is who they say they are. Planning is key for an organised teacher as it identifies the structure of your lesson. From this you will be aware how much time you have to spare in your lesson to provide children who are struggling with additional support. The more prepared a teacher feels is conveyed through their strong/ confident body language which will reflect on their learners and motivate them to participate in the lesson. (Jones, S.) Our team spent the first hour brainstorming ideas onto a notepad as internet safety is such a vast topic so it was hard to fixate ourselves on the one idea. ThinkUknow is a fantastic website for producing short plays pitched for all ages but specifically children in the upper school as this group in todays society are most vulnerable. Throughout, my upper primary school years one of the things that remained with me was a video I watched from “thinkUknow” It was about a young girl who chats to someone who she believes to be the same age as her. She gives all her details out and soon realises he is not the person he claims to be and is actually an old man. I wanted to produce a corresponding Imovie but one that was more up to date with current technology. As a group, we were extremely pleased with how our imovie planned out and gained positive feedback from peers and the module coordinator. However, there is always going to be space for improvement and in the future, I would adapt a few features. For instance, I would manage my time more effectively and plan out every scene before filming as this meant filming the same scene multiple times before we finally got it. Beforehand we did create a plan- however this was not detailed enough for a short movie. The editing process can be quite stressful as you need to get it to flow perfectly and edit clips in at appropriate times. I feel very strongly towards bullying and feel it is an area that is often dismissed in schools. However, I would love to put something in place to prevent this or let children to know I am always there if they ever need a chat! Reflecting on my previous blog – Ipads are another form of multimodal texts – perhaps not as common as IWB but they are certainly becoming more popular in todays classroom. The use of ipads is an excellent way for children to become independent within their own learning as they are in control. However, there is the counter argument: Are they really educating children or just becoming a hindrance by distracting them from their learning through playing non educational games? Some children are struggling to focus in lessons without the use of technology. Research has not been the main focus here while investing money into this. The UK has invested huge amounts of money into various digital tools such as Ipads that they assumed children would benefit from but they did not have a wide range of research about what it can do to a childs learning. ( C,Turner) From experience during placement I personally agree with the point they struggle to concentrate without the use of technology. However, I believe it can also motivate students to finish their work if used as a reward system which can be helpful. It also gave the teacher a chance to focus on other her way around the class to support the children individually if struggling or had a question. E- books are available on all devices- ipads/ tablets, laptops, smartphones etc- very compatible. Book creator app provides the chance to make it easier for children with learning difficulties to read as this app comes with features to suit all learners. There are options to adjust the font size for visually impaired students. Furthermore, a child can choose to have it read aloud to them without disrupting the class as they can wear earphones or put subtitles on. Schools can help save the environment by not having to purchase paper copies constantly or textbooks as all is provided through E-books. New forms of technology such as this one is encouraging bilingual children in our classrooms to feel involved as well. There is features to assist their needs by speaking their first language. It is very hard for a teacher to support all ethnically diverse children by speaking their language as there is simply too many. (D, Sessoms.) E-books enable teachers to support students in a more efficient/ modern form! There were various versions online but we decided to do the version we were familiar with. We started off by deciding on a background colour for our pages. A white background is not appropriate for learners who have visual impairments so we decided to have a light-coloured background alongside black writing to make it clear and easy to read. We searched on google images pictures of cartoon spiders which we could edit onto a background for our story. To make our book multi-modal we included a few semiotic systems. We edited a Youtube video onto our story taken from Youtube and got multiple images to further engage the reader. Our main outcome was to make the nursery rhyme more interactive so we decided to add in a few activities at the end to test their knowledge and identify what they picked up. I feel I am progressing well in digital technologies. I love preparing for upcoming lessons and seeing how I could incorporate different softwares etc into lessons when I am a teacher. Ebooks is an excellent app for supporting all learners needs including bilingual learners. I found our activity very entertaining and I will definitely be using ‘Book creator’ in the classroom to encourage reading as it is a vital life skill and should be encouraged at all ages. I am thoroughly enjoying my experience in digital technologies! I can’t believe how quick time is disappearing. Our main outcome this week was to design a task that involved multimodal features on the interactive whiteboard using the software ‘Active inspire.’ I am familiar with this as teachers used it as their main teaching tool all throughout my primary and secondary school journey. This tool is used in almost all classrooms to enhance a childs learning with an array of interactive tools. In today’s society, the most popular multimodal text is the Interactive Whiteboard (IWB) During my time on placement I noticed how much the teacher relied on this form of technology to deliver lessons. The pupils actively engaged and participated in lessons. From time to time, they were given permission to play games when all the work was completed. For example, they used the IWB to practice their multiplication tables from moving the numbers and symbols into the correct box to create the correct calculation. This specific hands-on approach is very relevant to the technology incorporated classrooms we have. (Beauchamp, 2012) However, I also observed the sheer look of panic on the teachers face when active inspire was down for the day! We can’t always rely on technology, it is crucial to have a back-up plan. Overall, recent studies convey that the use of the IWB can greatly enhance teaching by supporting classroom management, pace and variety. It was also noted that the use of the IWB was also beneficial for childrens memorisation skills and writing development. On the other hand, using the IWB can create the danger of being loured into a “show and tell” form of teaching. The need for a balance of activities is paramount. (Deubel, P) To be concise, there needs to be a balance of pupil to teacher talk. Pupils need the opportunity for kinaesthetic and tactile learning for example 1 to 1 engagement to identify a child’s strengths and weaknesses. Overall, although the use of the IWB is a positive attribute within the classroom further long-term research is needed to test the accuracy of these institutions. (gray, C) “The ability of ICT to present ideas in a variety of ways can help to structure new experiences but only if you as the teacher have sufficient understanding on the area yourself.” (Beauchamp, 2012) This effectively means the quantity of teaching is more important than the technology being used to portray it. Multimodal forms of technology allow us to present the same idea in multiple formats. Multimodal presentations can capture our leaners imagination and they can have freedom with it. However, ‘active inspire’ is not easily accessed on all devices which can cause disruption and frustration for learners. For example, one of my peers was not able to participate as they only have access to their macbook which disenabled them to work on this at home as well as on campus. This further supports my previous point about always being prepared for upcoming challenges in the classroom as not everything can be fullproof. I found active inspire to be very time consuming as I was not aware of all aspects of this function which made it difficult to work at times. Surely, as teacher we should be focusing on since our time is limited anyway. I was able to focus on my decided topic- numeracy. We specifically targeted our activity at first level mathematics. The concept of our activity was to drag away the box to reveal the magic number. The pupil would then have to create the number using the concrete materials (base 10 materials) provided at the side. For instance, if the number was ‘48’ the child would move 4 tens into the tens column and 8 units into the units’ column. The child would need to have prior knowledge of base 10 materials to complete this task. To make this text multimodal we had hand clapping sound effects as children will then feel a sense of confidence when getting it correct. I fully understand how important this tool is as a teacher. However, I don’t feel I had enough time to explore this in full detail which left me at a disadvantage for this specific task. I spent so much time creating this task for it to be completed in less than five minutes. Next time I will focus on an extension task for my class – ensuring there is plenty of work to get through, no time for slacking! – I sometimes find the best resource in the classroom is the ‘old fashioned’ form of the blackboard with no technical errors able to go wrong. Programming is an excellent way to highlight todays contemporary society as it is another learning process. Specifically, programmable toys can help improve a childs critical thinking skills at pre-school age and their numeracy skills through instructing the toy and solving problems along the way which also improves their numeracy vocabulary. ‘learning should be an active and interactive process’ (Janka, 2008) Today was my second week of digital technologies. Our lesson consisted of an introduction to programmable toys. To be specific, we were experimenting with ‘Bee-bot’. This excellent programmable toy is perfect for enhancing early years education. I was very fortunate to have had the chance of interacting with Bee-bot during my time at primary school. This specific programmable toy is a very fun, sufficient way to teach children within any area of the curriculum through playing an educational game. The first recorded programming tool in education dates back to the early 1960’s, it was a programming known as ‘Logo.’ This specific form was used to offer pupils a chance to explore a challenging programming system. On this game, you are provided with a list of instructions. The child directs the arrow to move in a specific direction by inserting commands using the keyboard. It is meant to be a simple task to engage children and make them familiar with creating shapes and sequences. However, when I tried this out myself it was proven to be quite the opposite. Initially, I found it quite challenging to work this programming as the instructions are not the most precise. I can only imagine how hard this must have been for infants! Very attractive for younger pupils- big buttons and bright colours. They are an excellent way to get children working collaboratively and helping one another. They help children retain vital skills such as counting/ measuring and conveying concepts in words. Before this lesson I had previously read the article ‘Robots in early education.’ This gave us an insight into how children react to Bee-bot. “We have found our nursery children have improved their problem solving, thinking, numeracy and literacy skills whilst using robots and whilst having FUN!” (Lydon, A) The children seemed to thoroughly enjoy interacting with Bee- bot whilst having an academic impact on them as they were able to practice their numeracy skills.” The programmable toy Bee-Bot4 was awarded as the most impressive hardware for kindergarten and lower primary school children on the world educational technology market BETT 2006” (Banka,2006) There is a lot of positive feedback directed specifically at the use of Bee-bot- it is a great interactive tool for working collaboratively in the classroom for early years. Beebot moves for 15cm and then stops and processes the next step. This wonderful little toy can also turn a full 90 degrees and remembers up to 40 commands! To complete our game, we also created a wheel with multiple letters of the alphabet specifically linked to our allocated task. A pupil would spin the wheel and whatever letter it landed on the child would direct Beebot to move to a word beginning with this letter and spell out the word. Then practice a ‘look, cover, write say check’ technique in their jotter. This further test their knowledge on spelling- the teacher can then see where a child is struggling- it is also a good way to reiterate previous learned sounds. This was the completed “oo” side of our Beebot mat. This was the completed “sh” sound of Beebot mat. Finally, I must say that I believe me and my peers worked well collaboratively. We all had our own specific allocated task which kept us on track with timing. Reflecting on this experience, next time I would not be as precise with the layout- quantity over quality- I understand the importance of time management as a future teacher and I am keen to improve this. 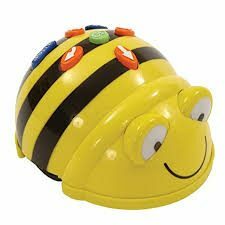 I really look forward to using Beebot specifically when I have my own class as it is an excellent tool to reinforce curricular subjects in a childs learning. Hiya! My name is Niamh Derbyshire. Welcome to my blog. Over the course of the next few months; I will be engaging you in my digital technologies journey. While deciding on my selective module for BA 1, it came to my attention that digital technologies was an option. 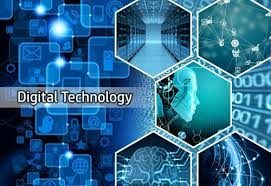 I chose digital technologies as my selective module due to my lack of knowledge as a student teacher about what technology truly involves within a classroom environment. According to Prensky I would be identified as a ‘Native speaker’ as I have grown up in a capacity with video games/ computers/ smart phones (Prensky 2001) However, I know the basics of technology but if you threw me in the deep end and asked me to teach a lesson on QR codes, I would stare back with a blank expression. “it does underline the need for teachers to be aware of the full range of ICTS capabilities from which they can select the most appropriate uses. “(Beauchamp, G.) I am eager to develop my awareness of technology and experiment with resources I have not previously explored. By doing so, this permits me to fulfil my teaching needs and enhance childrens learning in the classroom through my own personal experience within digital technologies. I will hopefully by the end of this module feel competent in teaching areas I previously had no experience with. Assist teachers to enhance their skills and build their confidence. Within the Curriculum for Excellence utilise technologies to assist cross curricular subjects. Delegate educators to enhance digital technology for upcoming students. This strategy was put in place to increase attainment in schools and attempt to close the attainment gap. Furthermore, provide support for a child who may not have access to the internet at home will get the chance to experiment with various forms in school. This might enhance a childs learning as they will be more engaged and feel equal to everyone in the class which is crucial for their development. We need to ensure every child is included in lessons and we are equipped for all levels of learning. Overall, I will complete four assessment tasks over the next 12 weeks. For instance: programmable toys, coding, Imovie and Ebooks. I thoroughly enjoy being creative within my own learning and having the freedom to design my own tasks. I am eager to expand my level of knowledge from what this module has to offer and portray this in the classroom. We are future teachers and it is vital we have a deep understanding about the extents of digital technologies. In addition, I am keen to reflect back on my blogs every week and notice myself improve over time. I am very excited to get started with this module and improve my digital skills.